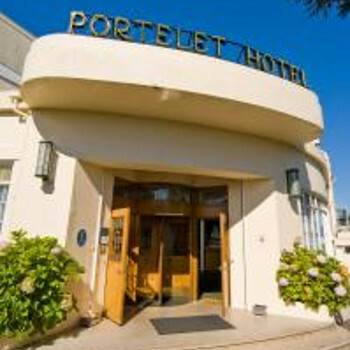 We can thoroughly recommend the Portelet Hotel. It is like stepping back in time and is extremely comfortable. The bathrooms and fittings are not very modern but we liked the fact that they are in keeping with the feel of the hotel. The service is fantastic and the atmosphere very relaxing.